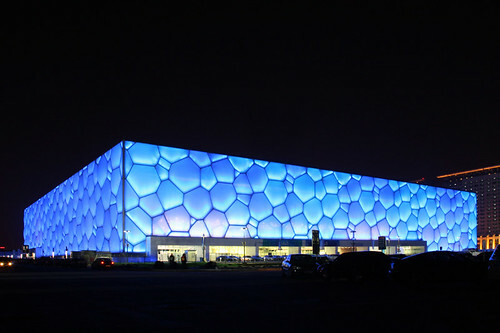 The 2008 Beijing Olympics are coming up this summer, and those of us interested in architecture have been watching as the Chinese Organizers have commissioned and built two genuinely bold, interesting and signature buildings for the host city. The Chinese Capitol is undergoing some big changes that go beyond the Games, and express the aspirations of a newly confident world power. Photos from tschaut and chrisbosse. Thanks to A Daily Dose of Architecture for the suggestion.